According to TAP Air Portugal’s schedule, the airline will fly the Airbus A321LR on the Lisbon (LIS) to Washington-Dulles (IAD) route. 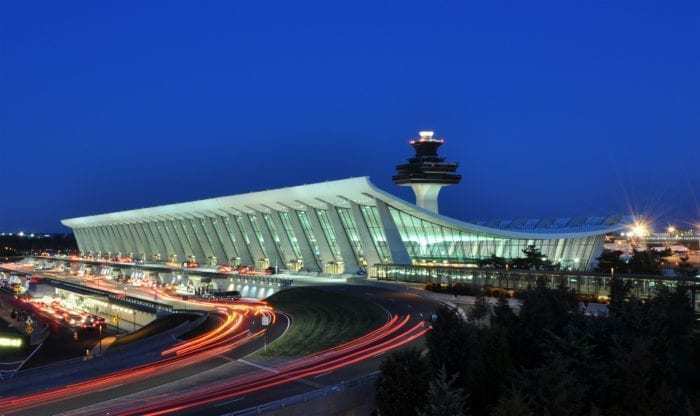 The Portuguese airline announced last year that it was going to start service from Lisbon to Washington-Dulles this summer. TAP Air has placed orders for 14 A321LR aircraft. Deliveries are expected to commence in the first quarter of 2019, so the airline should be able to welcome its first A321LR very soon. TAP Portugal’s A321LRs will feature a business class with 16 seats and an economy class with 152 seats. The seats in business class will be staggered, and there will be two rows in a 1-1 and three rows in a 2-2 configuration. Additionally, the seats in business class will be full-flat seats for added passenger comfort. The A321LR has the longest range of all single-aisle aircraft. It can fly nonstop routes of up to 4,600 miles. This extended range is made possible by three additional center tanks (ACTs) that store extra fuel. The Lisbon to Washington-Dulles route is only 3,591 miles. Furthermore, the aircraft has lower operating costs than twin-aisle aircraft. It is the perfect choice for long-haul flights with less than 200 passengers. Accordingly, it is very likely that we will see the A321LR on additional transatlantic flights in the near future. 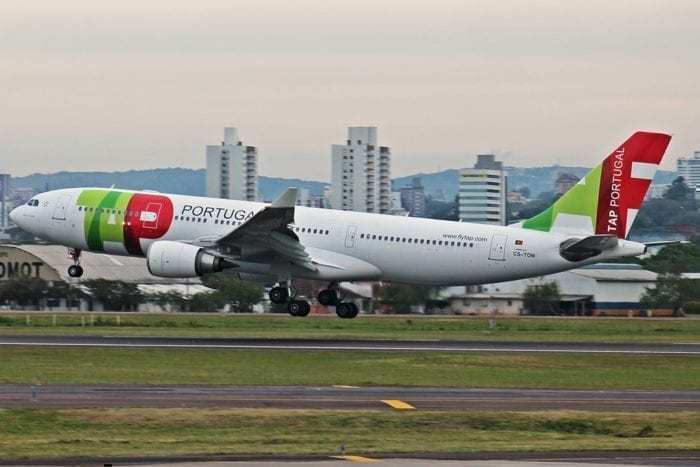 Starting June 16, 2019, TAP Air Portugal will serve the Lisbon – Washington-Dulles route five days a week (Sundays, Mondays, Wednesdays, Thursdays, and Fridays). TP0231 will depart from Lisbon at 4:30 pm and arrive in Washington at 7:40 pm, while TP0232 will depart from Washington at 10:40 pm and arrive in Lisbon at 10:50 am the next day. Initially, the flights will be operated on an Airbus A330-200, but, starting October 2, 2019, TAP Portugal will use the A321LR (Long Range) on this route. The A330-200 has a seating capacity of 269 passengers (25 in business class and 244 in economy class). The A321LR, however, has 101 seats less. Apparently, TAP Portugal will reduce its capacity on this route during the winter months. Most likely, the airline is anticipating less demand that time of the year. TAP Portugal typically offers great fares. 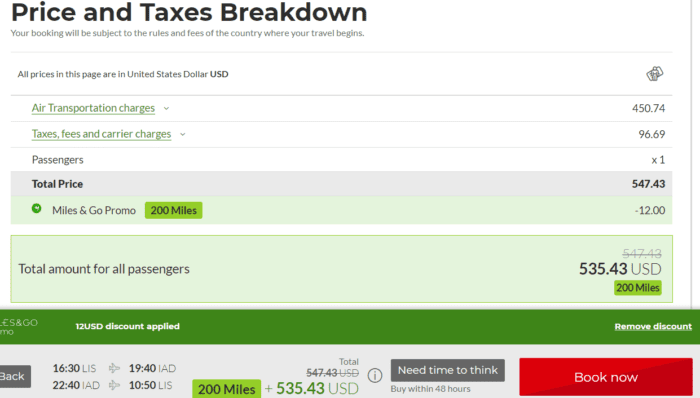 As of today, a round-trip ticket from Lisbon to Washington on the A321LR can be purchased for as little as $535 in the Discount category. TAP Air LIS to IAD Discount Ticket. In this category, however, passengers can only bring carry-on luggage and cannot reserve a seat. Nonetheless, the airline still serves them meals and allows them to check in online. Business class seats, on the other hand, are available starting at around $2,400. As Simple Flying reported, in addition to its new route from Lisbon to Washington, TAP Air will also start service to Chicago and San Francisco in 2019. The airline already flies to Boston, New York, Newark, and Miami. With more A321LR and A330-900 aircraft scheduled to be delivered to the Portuguese airline over the next months, it is very likely that we will see more announcements regarding new routes between Lisbon and the United States soon. Are you looking forward to flying on the Airbus A321LR?